Happy Thanksgiving! 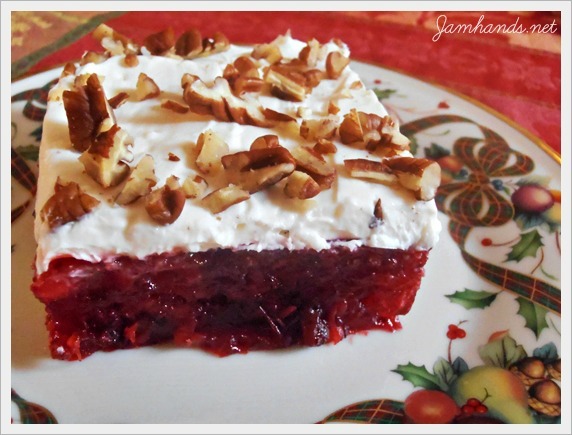 Today I have a bit of a retro dessert, a cranberry jello filled with pineapple and topped with a sweetened cream cheese topping. Many thanks to Spice Gals for this recipe. We loved it and it set up beautifully. 1. Lightly spray a 9 inch square pan with cooking spray. 2. In a medium glass bowl, mix the raspberry jello and 1 cup boiling water together and stir for 2 minutes until completely dissolved. Stir in the cold water, pineapple and cranberry sauce. Mix well. Pour in the pan and cover with plastic. Refrigerate until firm. 3. 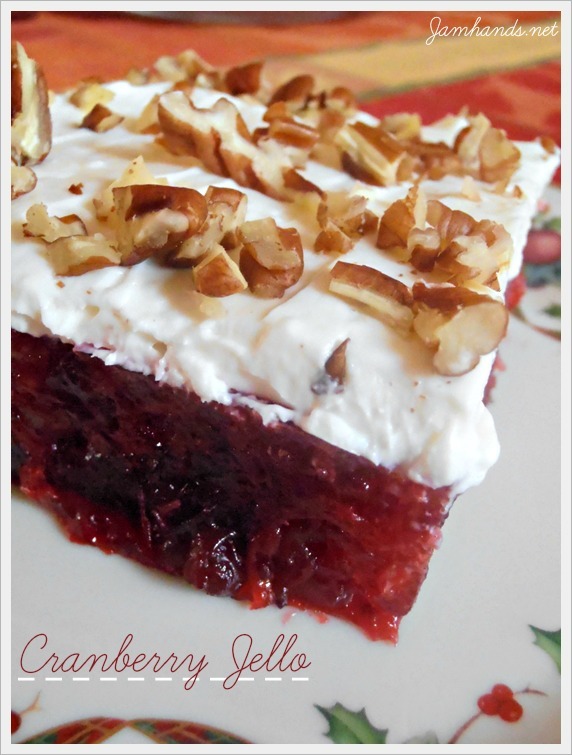 Blend together the cream cheese, powdered sugar, and whipping cream till smooth. 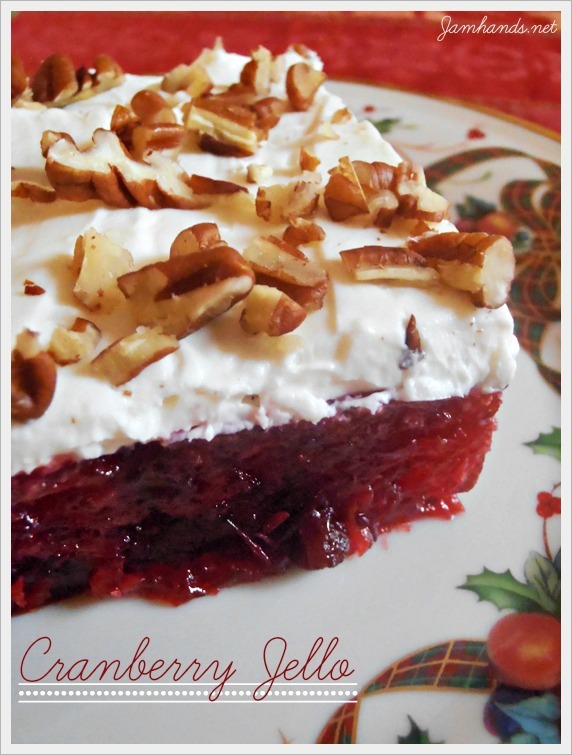 Spread the cream cheese mix over the top of the jello and sprinkle the chopped walnuts on top. 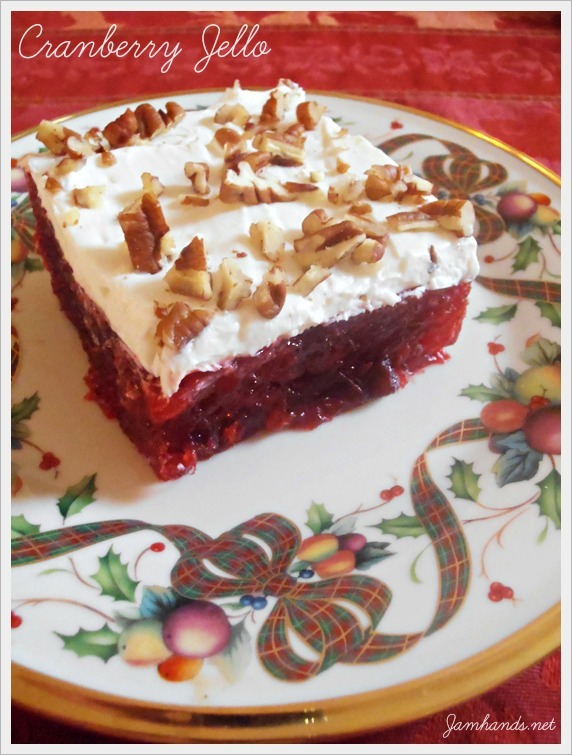 A definite retro dessert. I love it!